We used different shades of pink for this wedding cake. 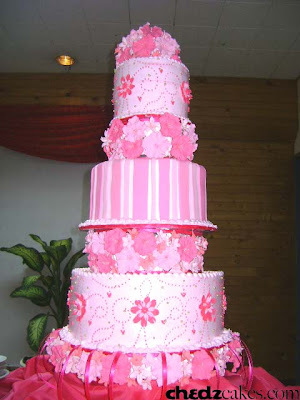 The first and top layer were decorated with gerbera sugar flowers with icing detailing. While the second layer had different sized stripes. Then, we arranged an assortment of hibiscus sugar flowers in between each layer.